Well, I don’t know what to think, at this point. The news of the suicide death of the former leader of South Korea, Roh Moo-Hyun, is just washing over me in waves. He was South Korea’s president when I resided and worked in South Korea, so he embodies the South Korea that I knew. An apparent suicide note indicates that Roh Moo-Hyun felt sorrowful about news accounts that were investigating alleged bribes flowing from corporate interests to bank accounts of his family members. I’ve had lengthy discussions with a few citizens of South Korea about their national politics. It is widely understood that national-level politicians of all political persuasions are greatly influenced by bribes from corporations. Rather than the “peasants with pitchforks” we see in the USA that would vow to purge the political ranks of such graft, voters in South Korea often felt like “What can we do? We can vote for other politicians to replace the current ones, but they will be just as susceptible to bribes as the ones we just voted out.” Political candidacy, in practice (as opposed to theory), can be pursued only by insiders. Thus, the electorate never got their hopes up about cleaning up the political system. But the media were more idealistic. To their credit, they felt as though greater transparency would shake things up. And it seems to be working, at least in small increments. It’s unfortunate that suicide of a former national leader would become part of the fabric of the story. I feel crestfallen, sorrowful about his untimely death. One simple thing I might recommend to South Korea to improve their democracy would be to accelerate social studies instruction in schools. When the politically connected wish to insulate themselves and maintain their status as an elite, exclusive club, they won’t give much of a road map to the rest of society who might want to break into the political ranks. This has certainly been the case in South Korea. While American public schools are not competitive with those in other developed nations, particularly in math, science, technology, and foreign language instruction, we Americans do get a head start on South Korea in the area of social studies. I think that’s because, at our core, we know that our nation relies on its people to set the standards for our government. With all its imperfections, America is still the nation most likely to have the people set the standards for its government, rather than the other way around, where the government sets standards for its people. Even other developed nations, from Australia to the UK, from Japan to Sweden, are not governments of the people, by the people, and for the people the way America is. We have our politicians on a much shorter leash, and if we have to throw the bums out, and we don’t know where else to turn to for an alternative political leadership, we, ourselves, are able to step forward and declare ourselves a political candidate. We have a road map (or, at least, we can get our hands on one in pretty short order). In America, we can be the government. That’s just not so in other parts of the globe, South Korea being one example of that. Nevertheless, there’s still a long way to go toward fully staffing South Korea’s government offices with the most honest and highly ethical people. (We could say that about America, too, but we have much stronger mechanisms for correction.) But the starting point has to be that ordinary citizens have at least an understanding of the political process, and I think that type of information is too closely guarded. Despite the glaring deficiencies exposed by this latest tragedy, South Korea has made absolutely huge strides in moving from 3rd world country to developed nation in a very short span of time. Thus, I remember the nation led by Roh Moo-Hyun in glowing images of advanced technology, advanced convenience, advanced modernity, advanced infrastructure, advanced primary and secondary education, advanced fashion, advanced arts, and great expectations for the future. I’d like to share a few South Korean vistas with you. 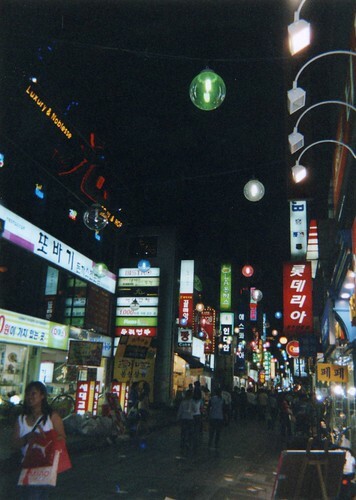 I’m not sure why Itaewon, pictured above, attracts American visitors. 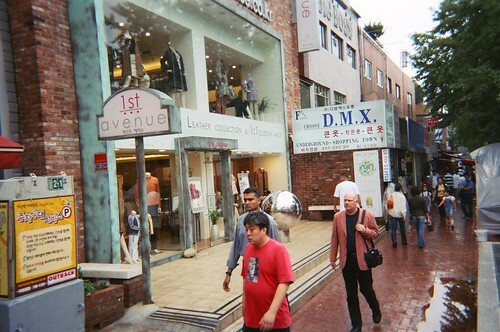 It’s actually one of the seedier sections of Seoul. 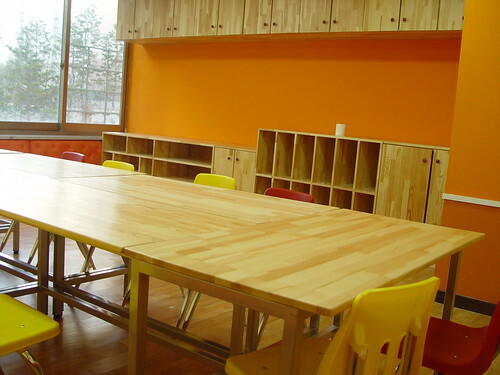 New private academies with modern classrooms are sprouting up constantly as parents very much want their children to be well versed in everything. 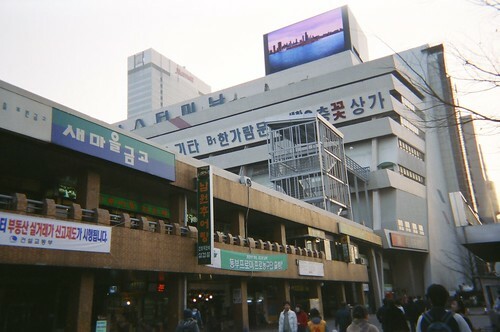 This is the Gang-Nam bus terminal on the south side of Seoul. It’s so easy to get to anywhere you want to go on the mainland by bus. 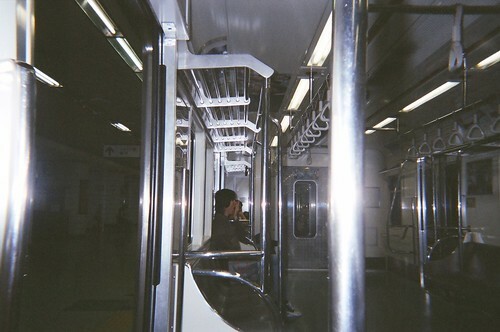 I’ve already expressed my affinity for the Seoul subway. 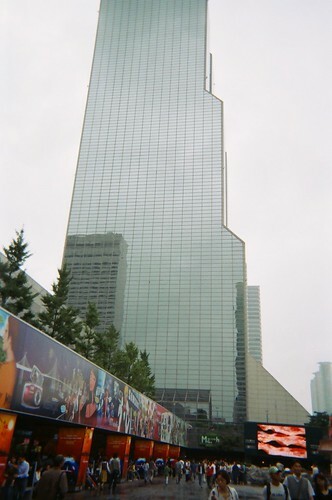 One of my favorite weekend destinations was the Coex Mall beneath the Coex Tower in Seoul. 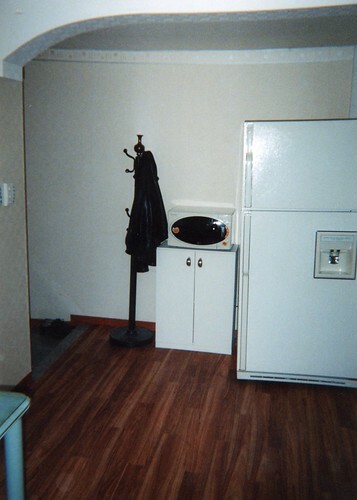 My apartment was rather small, but it was easy to maintain. 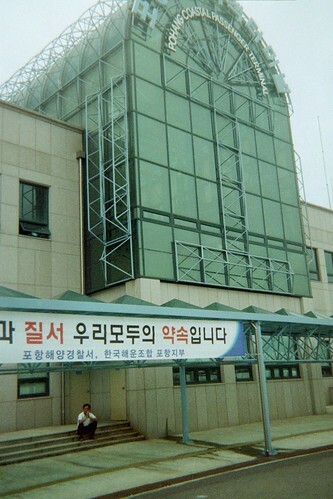 I lived and worked in Cheongju. Here’s a section of the downtown lit up at night. South Korea, on the end of a peninsula, does have offshore islands. This is the ferry terminal in Pohang that is the jumping off point for the island of Ulleungdo and the Dokdo Islands. 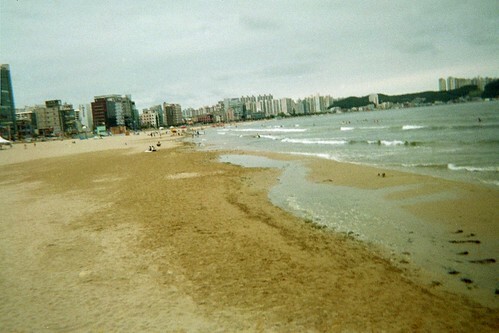 Pohang also has an extensive beach. 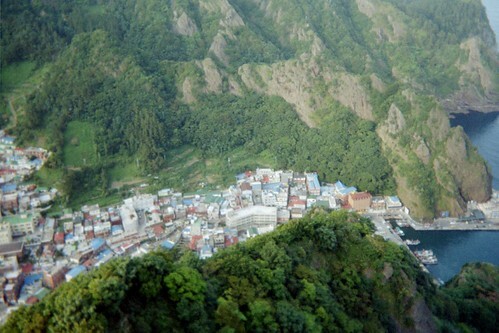 Here’s a clifftop view of the harbor town of Do-dong along a rocky inlet on the island of Ulleungdo, accessible by ferry service from Pohang. 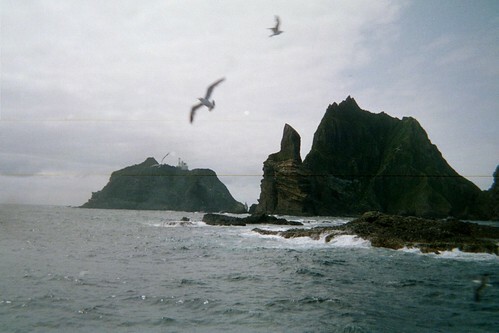 South Korea has strongly asserted themselves as having dominion over the Dokdo Islands, though Shimane Prefecture in Japan alleges otherwise. 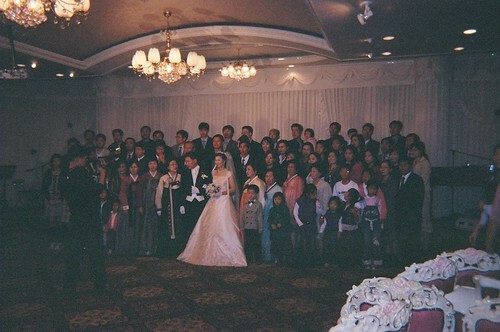 Weddings are often held in wedding halls, buildings constructed for the very purpose of hosting weddings. I have no idea what the price tag is for renting one of these. And to conclude, here’s yours truly, on the left in the foreground, frolicking in the countryside with classmates from my Korean language classes, sponsored by the YMCA in Cheongju. What great photos, Daniel – thanks for sharing these memories and thoughts. Thanks, Jill. I didn’t snap the 2nd photo or the last photo, but the rest of the photos are ones I took, myself. 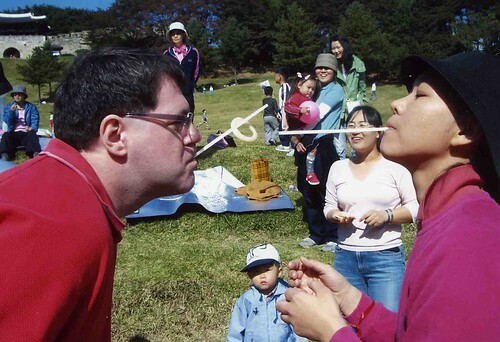 South Korea has roughly the same land area as Ohio, but six times the population. Some estimate that South Korea’s economy is about the 12th largest national economy in the world, and I’ve heard others estimate that it might even crack the top 10, though a few peg it at about 14th. Whatever the case may be, during Roh Moo-Hyun’s presidency, South Korea truly emerged as a developed nation. It’s no longer a backwater, by any stretch of the imagination.